Shop Hugo Eau De Toilette Spray (2.5 oz. )2.5 oz. 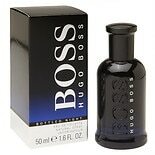 Shop Hugo Boss Bottled Night EDT (1.7 oz. )1.7 oz.